One of the most prominent myths characterizing current American culture is the notion that the architects of our country intended for God, the Bible, and Christianity to remain “detached” from civic institutions and public life. This piece of propaganda has been a prominent tool used in public education, the media, and the political arena to ban true religion from the public square. Ironically, anti-Christian religious views are welcomed with open arms. The truth is that the phrase “separation of church and state” is not even found in the Constitution. The vast majority of the Founders believed that the general doctrines of the Christian religion are the basis of the American way of life. To the extent our nation expels God, the Bible, and Christian principles from public life, to that extent we will degenerate into civil disorder, lose our freedoms, and earn the disfavor of God Almighty. 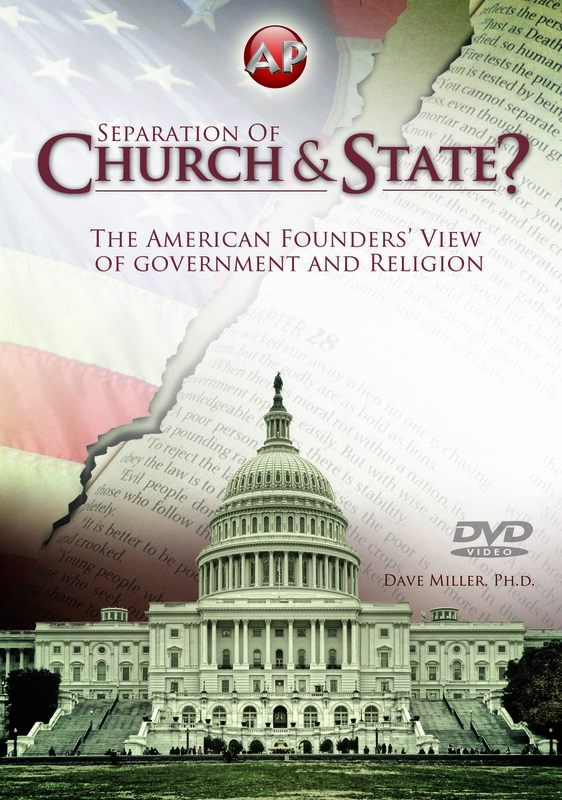 These facts are firmly supported by the historical documents presented in the newly released DVD “Separation of Church and State?” Approximate run time is 70 minutes. The Dove Foundation has given this presentation its highest rating of five Doves. If you want to help in the war to save our nation from its self-inflicted misconceptions, buy this DVD in bulk quantities to get a significant discount so that you can distribute to others.